Learn the basics of web programming in PHP by building a simple affiliate marketing website that scales automatically. Get punched in the face with PHP. Cover the basics, create a re-usable database class, and build your first application! Learn PHP online with MySQL and Start Developing Web Apps like a Pro! The climate change and the shortage of the fossil resources are energy-related topics that lead to discussions about the energy supply of the future: On a local and on a global level, in professional and in private contexts. Following the catastrophe in Fukushima the awareness for the necessity of discussing increased. In Germany, the reaction resulted in the so-called “Energiewende” – the energy transition. While English – as lingua franca – cannot solve the problems of energy supply, it can at least aid finding the right words when talking about finding a solution. Within the wide field of energy, this MOOC focuses on the topics closely related to energy transition. However, it will not give a deep insight into the technical terminology e.g. of a power plant. This course is aimed at professionals and students with previous English knowledge, interested in refreshing their language skills and learning the most important vocabulary from the energy world, particularly the topics connected to the energy transition. The course is especially suitable for those who would like to push their international career in the energy sector and hose who would like to brush up their language skills before joining the Energy English further education course at the Center for Technology Enhanced Learning (ZML). Some prerequisite knowledge is required: English level at A2/B1 or above according to the Common European Framework of Reference for Languages (CEFR). Previous knowledge of the energy business would be helpful, but is not strictly necessary. The overall course objective is to acquire a sound basis in the necessary vocabulary for communicating about topics concerning the energy transition. The aim is for students to both understand and be able to use this vocabulary in context. The quantifiable goal is the acquisition of between 20-30 vocabulary words per week. You will be trained in the passive skills of listening and reading comprehension as well as the active skill of writing when discussing in the forum or completing exercises. 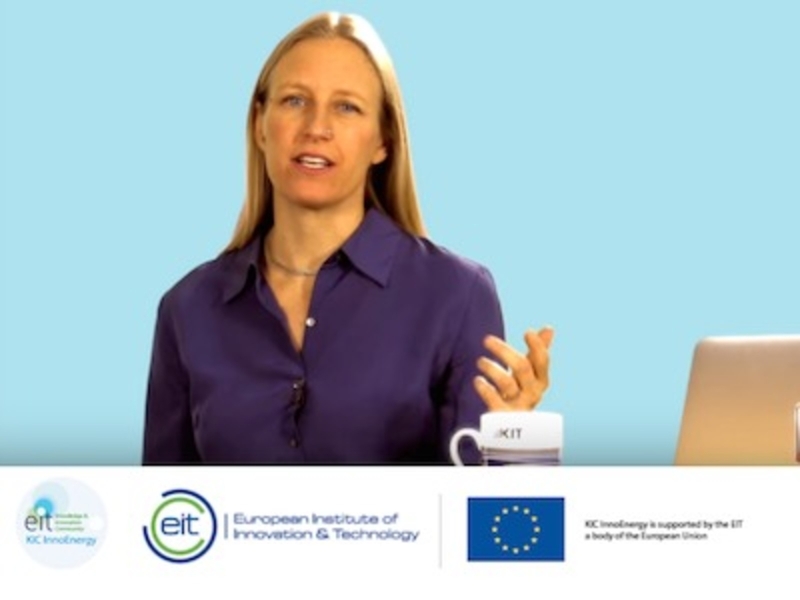 After completion of this MOOC the participants shall be supplied with the solid basic vocabulary to follow and participate in discussions on the above mentioned topics in private as well as in professional contexts, to understand texts or videos on energy transition. These discussions could be in a business context e.g. negotiation with an international partner, or with a political background. The course consists of 6 chapters, which will be issued on a weekly basis. If you are enrolled in the Certificate Track, the first exam session will take place in the 8th course week. An overview of our current situation (fossil fuel and nuclear powered thermal energy plants), a look at turbines and energy conversion; the concept of moving away from fossil fuels and toward renewable and sustainable energy sources. What is the Energy Transition, and why do we need it? Some big-picture ideas: public policy, implementation targets, energy security. Introduction to the mature renewable technologies that are currently on the market: wind, solar, hydro, biomass, geothermal. How does power get from where it is generated, to where it is consumed? An examination of our current infrastructure (the power grid) and the importance and challenges of keeping the grid balanced. Introduction to the next generation of infrastructure: smart grid technology - what it is, and the fundamentals of how it works. How can we integrate renewables into the existing energy infrastructure? The current system is demand-oriented; renewables are inherently supply-driven. One key way to bridge this gap is by using energy storage. This is an overview of the most promising technologies currently available (pumped-storage hydro, batteries, compressed air, thermal energy storage, power-to-gas methane synthesis). The two pillars of the Energy Transition are sustainable energy and energy efficiency. Without efficiency, energy demand continues to grow unchecked and the Transition will fail. This unit focuses particularly on energy use/consumption in buildings, and the enormous role human behaviour plays in efficiency and the reduction of energy demand. Research in sustainable energy and energy efficiency continues to advance - what are some potential untapped sources of energy? What are the effects the technologies of today will have on the future? How can renewable energy improve energy access and energy equality in a world of ever-growing energy demand? La programación orientada a objetos te permitirá hacer proyectos con PHP de gran envergadura. El curso definitivo que estabas esperando! mas de 80 clases de aprendizaje que te enseñará desde cero. 100% Recomendado. Conviértete en desarrollador de backend, uno de los perfiles más demandados en las empresas de desarrollo web. Savez-vous que les machines les plus puissantes au monde sont massivement parallèles ? Saviez-vous que les objets les plus courants de notre vie quotidienne, comme les voitures ou les smartphones, sont de véritables ordinateurs parallèles ? En effet, les voitures les plus simples embarquent une trentaine de capteurs et processeurs sur lesquels s'exécutent différents programmes qui coopèrent. Les véhicules les plus sophistiqués dépassent d'ailleurs la centaine de capteurs et processeurs... et ne parlons pas des véhicules autonomes qui se profilent dans un avenir proche. D'ailleurs, vous savez tous qu'internet peut également être vu comme un système massivement parallèle ? Bref, les systèmes parallèles ont déjà envahi notre vie quotidienne et sont présents dans tous les secteurs. La principale conséquence est que l'informaticien d'aujourd'hui se doit de maîtriser ce type de programmation, qui est loin d'être trivial. En effet, tôt ou tard, il ne pourra qu'être confronté à ce type de problèmes. L'objectif du MOOC « Programmation Concurrente » est de vous donner un aperçu de ce domaine. Nous y présenterons les problèmes posés par la concurrence, les solutions algorithmiques proposés (moniteurs, sémaphores, etc.) et illustrerons nos propos à l'aide du langage Java, qui, dans sa version 8 (en fait depuis la version 7), intègre de nombreux mécanismes permettant au programmeur désireux de comprendre la programmation concurrence, de s'y focaliser sans avoir à manipuler des mécanismes de bas niveau, comme ceux que l'on trouve dans de nombreux langages (par exemple, C avec les bibliothèques Posix). Ce cours est principalement destiné à des personnes maîtrisant déjà au moins un langage de programmation, objet si possible. Il est dérivé d'une unité d'enseignement de troisième année dispensée à l'Université Pierre et Marie Curie, le premier établissement universitaire à avoir proposé en France, en 1967, un diplôme d'informatique. Second add-on to the main E-commerce application with PHP, MySQL, Ajax and PayPal series. Learn how to build a Shopping List application from scratch using AngularJs, PHP, SQLite, Zurb Foundation and Jasmine. Como hacer una web en la que el visitante pueda subir documentos al servidor, y como manipular una imagen con PHP. This course covers the basics of PHP Video Tutorials for the purpose of building dynamic websites.